Grab the Koogeek Smart Training Gear Abs Fit Training for Arm Abdomen Fit Training with Wireless Charging Pad App Function Black for 45% OFF Now only $44 REG $77.99 with code from gleam at bottum of this post. [International Accredited Certifications] Adopt RoHS-compliant silica gel, which is harmless, toxic-free and environmentally friendly. The attached medical-grade gel patches have passed the human biocompatibility test and obtained the international certification. 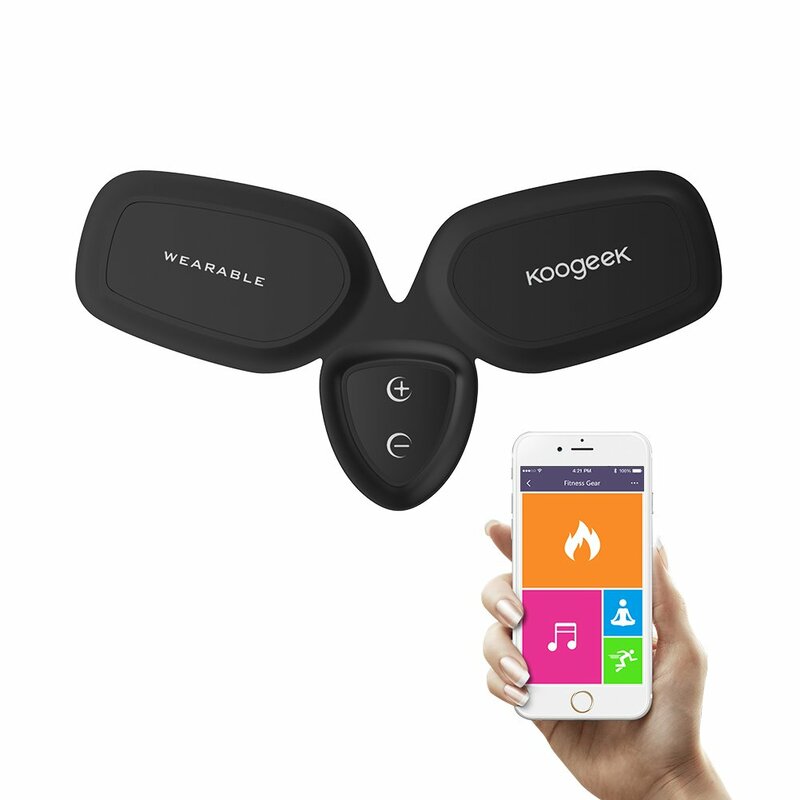 [Powerful App Function] Koogeek app develops multiple fitness modes including music play, fat burning, relaxation and exercise mode. [Safe & Reliable] Adopt 10 different levels of intensity from warm-up to high-intensity exercise and finally to relaxation with full automation control. It does no harm to human body. Just enjoy scientific and healthy fitness. [Wireless Charging] Advanced wireless charging technology provides a convenient, safe, efficient and environmentally friendly way to charge the device at home, in an office or at a gym. [Easy to Use] Designed with ergonomics targeting muscle exercise on the arm. Fix the fitness gear to the position where you want to strengthen your muscle. To power on, press "+" button for 3 seconds; to power off, press "-" button for 3 seconds.